When is it too early for Halloween decora­tions? Sept. 6, according to one Seminole State student. Does a week make a difference? 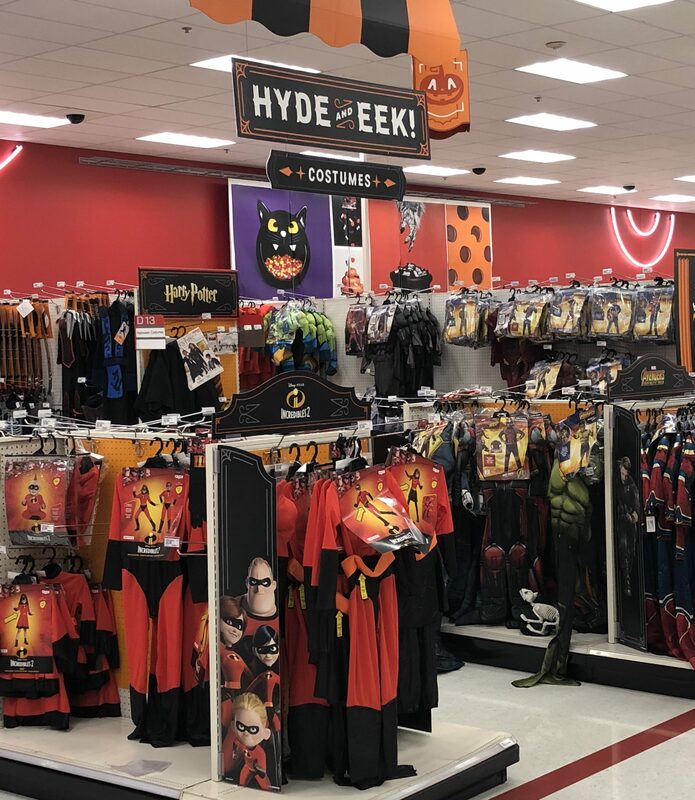 The following week, Target and a local Halloween store were fully stocked with candy and costumes. Local scare zone, “A Petrified Forest,” opens a little closer to Halloween with opening night last Friday. The annual Casselberry attraction has scheduled 16 nights of frights through Nov. 3. Seminole State Festivities also seem to start closer to the actual Halloween holiday. The Planetarium at Seminole State College on the Sanford/Lake Mary campus will have its an­nual Halloween festival plus a Halloween-themed show in October. “Into the West,” tells the history of Hallow­een from its beginnings 5,000 years ago in what is now Great Britain. In addition to the Oct. 22 showing, “Into the West” will run from 8:30 to 9:30 p.m. on Oct. 15. “The show examines the Britons and the Celts, two ancient peoples who laid the foundation for the modern-day Halloween celebration,” accord­ing to a news release. It also discusses the origins of the modern holiday as well as an exploration of the stars that form the constellation Taurus. Also on the Sanford/Lake Mary campus in the Student Center starting at 4 p.m. will be the Haunted Halloween Series of movies every Mon­day in October, including Oct. 15, 22 and 29. The Fall Costume Ball will take place Oct. 25 at the Sanford/Lake Mary campus starting at 5 p.m. in the Student Center. This free costume event will feature music, games, giveaways, light snacks and prizes for the best costumes. Donations of clothing, hygiene products and canned goods are encouraged for those attending. No masks or weapons of any kind (including plastic) allowed. Also on Oct. 25, from 9 p.m. to midnight, the Intramural and Recreational Sports Department will host free Spooky Bowling at the Oviedo Bowling Center, 376 E. Broadway St., Oviedo. The department will pay for shoe rentals and all games. There will be awards for best bowler and for best scariest, most original and best overall costumes. Rounding out Halloween-themed festivities is the Night of the Living Debt event Oct. 30 start­ing at 5:30 p.m. at the Altamonte Springs cam­pus.